 As a community center, CFI West offers a variety of services to skeptics and secular humanists in Southern California. Do you need space for an event? Our meeting room may be available. The meeting room at the Center can hold up to 120 people, theater-style, and even more for a party. While we do reserve the facility for CFI-related meetings and events, there are days and evenings when the space is available. If you need space for an event, a meeting, a party–whatever–please call and inquire about rates and availability. We’ll do our best to accommodate your needs. Want a speaker for a meeting? Our speakers bureau can provide first rate speakers on many different topics. Are you involved with any community groups, schools or clubs that sometimes invite outside speakers? Would you like to organize a talk about the scientific investigation of the paranormal, or church-state separation, or alternative medicine, or secular humanist values? Center for Inquiry West has a wide range of expert speakers available to talk on these topics and more. Please call us at (323) 666-9797 for more information. Getting Married, or know someone who is? CFI West can make recommendations for celebrants for weddings, funerals and other rites of passage. There are over a million non-religious people in Southern California, and the Center for Inquiry West is their resource for secular ceremonies. Secular humanists, freethinkers, atheists and skeptics die, get married and go through other rites of passage just like everyone else. But they usually don’t want a religious celebrant officiating at these events. Call the Center for a celebrant who can legally perform secular weddings anywhere in California. Any one of our experienced celebrants will help keep your important ceremony consistent with your beliefs.